Summer gives us time to look back and reflect on the hockey season. It gives us time to remember years gone by. It's time to go back and remember some of the most memorable moments in team history. This week: Sid's return from concussions on 11/21/2011. You know the story: Sidelines by concussions since the start of the calendar year, Sidney Crosby finally returned from concussions nearly a year later to a stunned New York Islanders team. Didn't see it? Relieve it below. 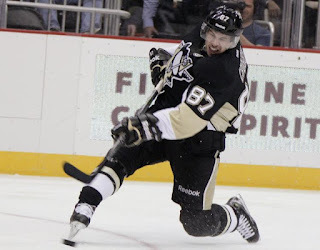 Sid would go on to register four points (2g, 2a) to an Islanders team that just was not ready for the atmosphere inside of then CONSOL Energy Center. The Penguins would win 5-0.